As you might have guessed, a bread machine is used to bake fresh bread at home. A bread machine automates the process of mixing, kneading, and baking — allowing you to make bread with minimal active supervision. With variations in size and settings for different types of bread, a bread machine allows for the creation of all kinds of loaves right from home. 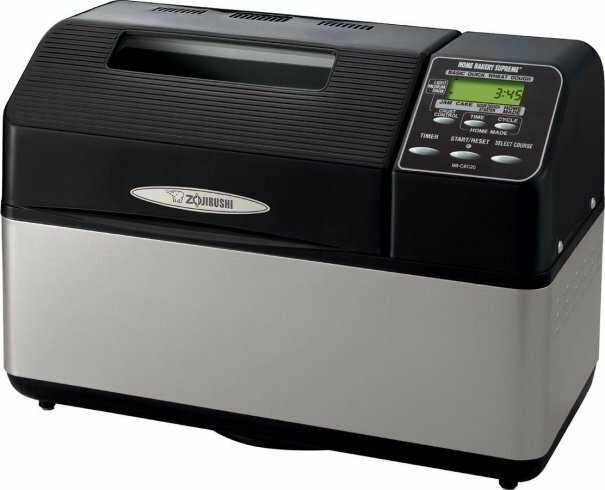 Among the most highly reviewed bread machines, the Panasonic SD-YD250 combines consistent performance and a healthy list of settings with a reasonable price. This bread machine creates loaves of bread in three sizes up to 2-1/2 pounds and offers a host of digital settings for different types of breads such as white, wheat, and multigrain. It is also capable of baking non-yeast breads as well as preparing different types of dough without baking them. Finally, a timer allows the bread machine to be programmed up to 13 hours in advance. The current price for the Panasonic SD-YD250 is $114.99. The Zojirushi BB-HAC10 has been well-reviewed for its small size and ease-of-use. Its 1 pound loaf size makes it perfect for smaller households. While it may not have as many features as other bread machines on the market, it still has settings for Regular, Firm, or Soft bread textures as well as the ability to prepare a variety of breads. The current price for the Zojirushi BB-HAC10 is $185.99. 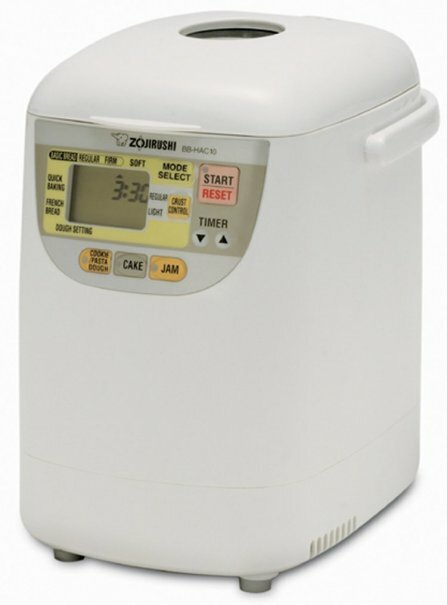 The Zojirushi BB-CEC20 is the sports car of breadmakers, offering the best performance and greatest functionality but with a premium price. Dual paddles on this Zojirushi create rectangular 2 pound loaves. This bread machine comes with 10 pre-programmed bread settings, 3 crust shade settings, and a timer that can delay the baking cycle by up to 13 hours. The current price for the Zojirushi BB-CEC20 is $229.95. The Sunbeam 5891 is another breadmaker that is well-liked for its ease-of-use and its affordable price. 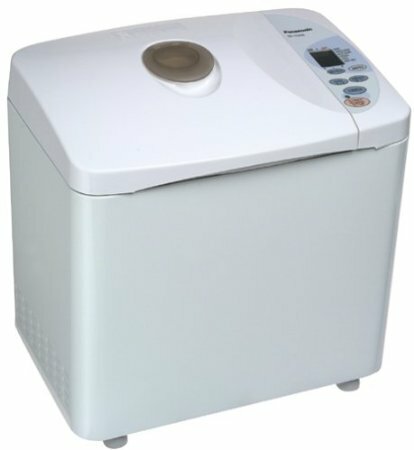 This bread machine makes 1-1/2 or 2 pound loaves, and while it may not be able to make as wide a variety of breads as other machines, it still has dedicated dough-only, bake-only, and jam settings. Finally, it also has the 13-hour delay start function and three crust settings. The current price for the Sunbeam 5891 is $64.32. The West Bend 41300 is the last bread machine on this list that combines a reasonable price tag with a decent suite of settings. Offering the largest selection of loaf sizes, the West Bend creates 1, 1-1/2, 2, and 2-1/2 pound loaves. 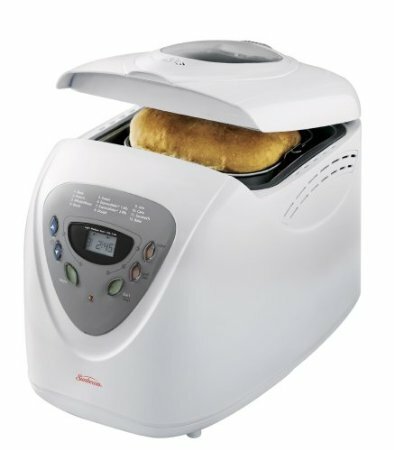 Like many of the other bread machines, it comes with a number of pre-programmed settings, 3 crust settings, and a 12-hour delay timer. The current price for the West Bend 41300 is $75.00. These are our recommendations for the best 5 bread machines. With the right machine, you’ll be making healthy and delicious bread from home that actually is greater than sliced bread. Be sure to check out the Wise Bread Shopping Calendar to learn when and how to buy just about anything! I haven't purchased bread in one year. I have the Zo home Bakery. I grind my own wheat too. Our house always smells like Panera and it takes 10 to 15 minutes tops. The best bread machine is the $10 one your husband brings home from a tag sale. I agree. My first bread machine came from my neighbor's yard sale ($5). When that one died, I bought one from Goodwill for $8 and it has already made hundreds of dollars worth of bread for me in a year. Great list! 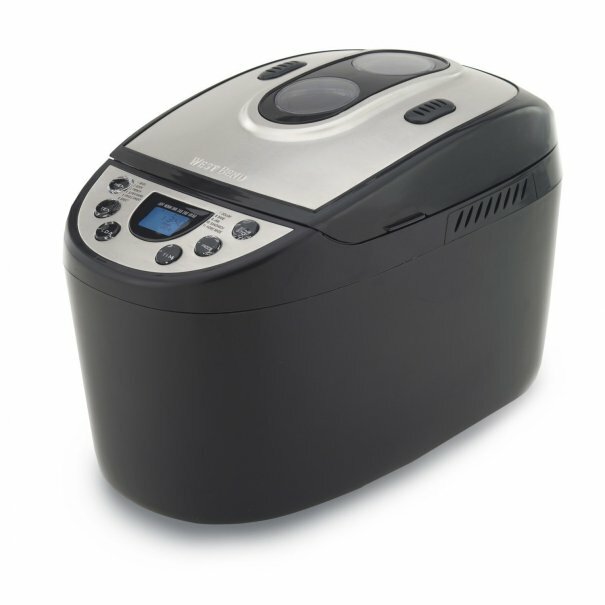 I especially like bread makers that offer a convection baking option like the Breadman TR2700 or Cuisinart CBK-200. It helps make very even crusts with that beautiful brown glow we've all seen in commercials. Good list. I like Zojirushi BB-CEC20. It's great one that provides aromatic, tasty, soft fresh homemade bread and adds convenience to life and easy to use for beginners. I have to say that Panasonic is the best out there. The first time I used West Bend, it scared that you-know-what outs me it is so powerful. We use them at work and now I'm so spoiled, I don't like using my home bread maker because it just doesn't do as good a job. Thanks very much for your sharing,in my opinion Panasonic bread maker is the best one.